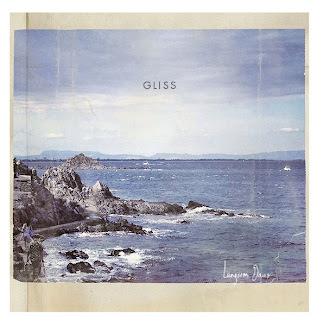 Gliss is a Danish/American three-piece, and their new album, Langsom Dans, was released on January 22nd, 2013 via Modern Outsider. Gliss - Weight of Love from Gliss on Vimeo. Members of the band are Victoria Cecilia, Martin Klingman and David Reiss. Langsom Dans was recorded in LA, and mixed by Michael Patterson (Trent Reznor/NIN, Beck, Ladytron) and mastered by Henrik Jonsson (Lykke Li, The Knife). They move easily from dance rock like the 5:30 "In Heaven" to slower, atmospheric songs like "Black is Blue" with its slowed-down tempo and wavery guitar... almost like somebody slowed down some Jesus & Mary Chain and put a female vocal on top of it. If that sounds intriguing, well, that's definitely a good description of some of the songs on this record. "Blur" has a slowed-down drum and bass line with a languid vocal, the whole thing drenched in reverb. Cecilia's vocals are in places reminiscent of Cocteau Twins, and overall the music is very full and lush, and stands up well to repeated listens - I liked it more every time I listened. And you can download album track "Blur" at this link. New Pony Time song - "Because I Care"
Veronica Falls releases new song "Buried Alive"
Introducing: Coasts and new single "Oceans"